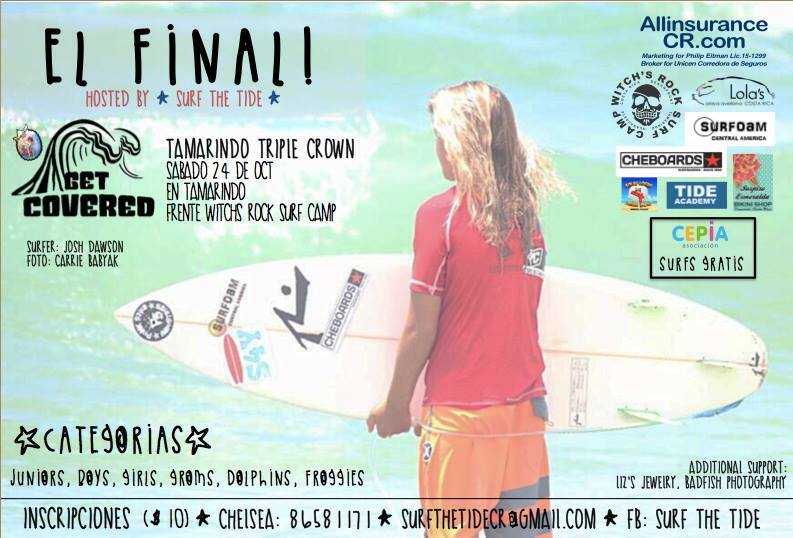 The Tamarindo Triple Crown hosted by Surf the Tide is set for October 24, 2015. Categories include juniors, boys, girls, groms, dolphins and froggies. $10 to enter. Contact Chelsea at +506-8651171 or surfthetidecr@gmail.com.